This little pilgrim is going to need lots of pumpkins this Thanksgiving. 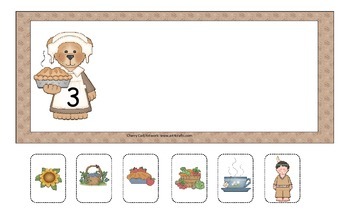 Children count the number of syllables for each picture and match them to the pilgrim with the right number. 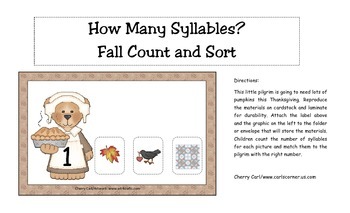 This is an easy to assemble activity and reinforces the concept of hearing separate syllables in words.